In outstanding ways, the mammoth collection he assembled was surely not comprehensive: Sparks evinced no interest in the history of American Indians, women could not feature as actors in the nation’s trajectory from settlement to nationhood, and though slavery discomfited him, the institution and its survivors figured nowhere in his historical vision. Instead, for Sparks the nation’s comprehensive history lay in the evocative correspondence of its generals and men of state, clustered around pivotal battles and decisions. It was in those very landscapes, which he paced and clambered over, minutely recording how events transpired there in his own bloodless, bookish historical reenactment. Day upon day, Sparks exercised his sober mania for original documents by ranging among the public archives of the original states. From Cambridge, he forged a network of correspondents who would send or alert him to original documents of the revolutionary generation, often stowed in descendants’ homes. He became an archive of the revolution that was more voluminous than any state collection. But it was never enough. From 1827 until his death in 1866, in order to tell the full story of the Revolution, as he saw it, Sparks looked across the Atlantic to the sovereign record offices of North America’s former imperial metropoles: Britain, France, the Netherlands, Spain–even Sweden. He made his first archival trip to Europe in 1828, a second in 1840, and one last in 1857. When in the U.S., he had faced little resistance in his pursuit of states’ colonial records; Secretaries of State and other officials were willing, if not flattered, for the roving New Englander to take or copy the revolutionary correspondence that often moldered, disheveled, in office corners. These, he promised, would be inscribed on in the grand narrative of the American Revolution and do justice to the departed. Encountering this uncertainty, Sparks articulated with increasing confidence a new set of international archival principles. In the U.S., he had assured fellow citizens that by giving him their family papers, they would honor their ancestors and perform a service to the nation. To European ministers and the archival staffs they oversaw, however, he spoke in universals: to open their nation’s records to a foreign researcher demonstrated their liberality, commitment to truth, and goodwill within an international community of nation-states. Cautiously at first, with increased assertiveness in the 1840s, and ultimately as a matter-of-fact gesture by the 1860s, Sparks used this language to ease his and his agents’ access to European archives, which became increasingly easy and formulaic. There is a larger international history to be told about the emergence of archival norms in the nineteenth century. Sparks and a handful of other American interlopers in European archives–preeminent historian and government official George Bancroft, politician and intellectual Edward Everett, editor and diplomat John Romeyn Brodhead–would have to figure prominently in it. As would this pervasive irony: Sparks’s ideal of the free circulation of historical materials among nation-states served to bolster the very nationalistic narratives that, in the twentieth century, would help tear Europe apart. Fuming in his antebellum context about European archivists to Henry Wheaton (then U.S. minister to Prussia), Sparks couldn’t see this future, or his own hypocrisy. He, as they, believed that an served to do justice to the departed and gratify their descendants. 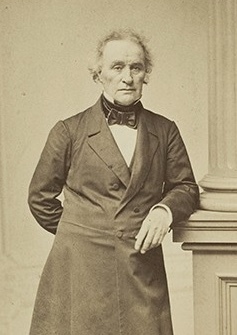 He, too, was anxious about his nation’s power and interests–indeed, in the British and French archives he sought and found evidence about U.S. claims in the ongoing Northeast boundary dispute with British Canada. 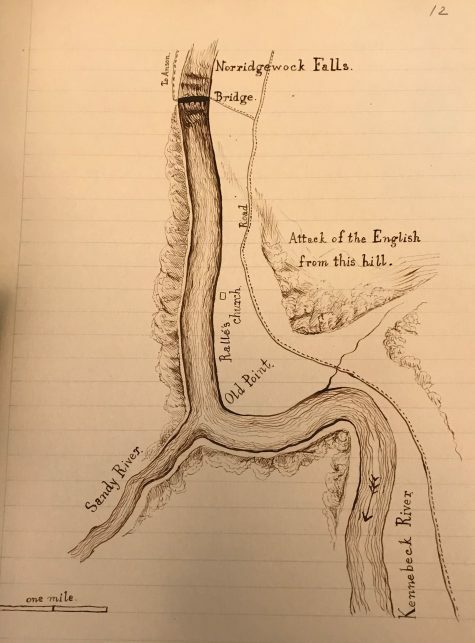 Moreover, throughout the antebellum, foreign archivists had been crucial guides to the sprawling records that Sparks and other Americans sought, often in languages that they read poorly or not at all. 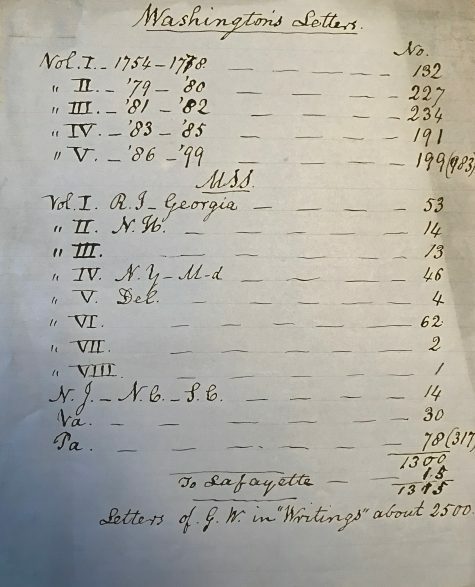 At the same time, Sparks managed to cull a massive multilingual record from a half-dozen foreign archives for his intended History of the Foreign Relations of the American Revolution–an endeavor that makes many of our projects look parochial. And, however murky it now appears, his claim that historical information should circulate across borders and among researchers pursuing truth, rather than national self-interest, placed him well ahead of his time. Derek Kane O’Leary is a PhD Candidate in the History Department of UC Berkeley and a Visiting Fellow at Houghton Library, thanks to the William Dearborn Fellowship in American History. His dissertation, “Building the American Archive in the Atlantic World,” examines the emergence and influence of historical archives in the early U.S.